Holidays are the most wonderful time of the year for many of us. It's a time for partying with friends and family, going on vacations, sharing gifts, and spreading laughter. 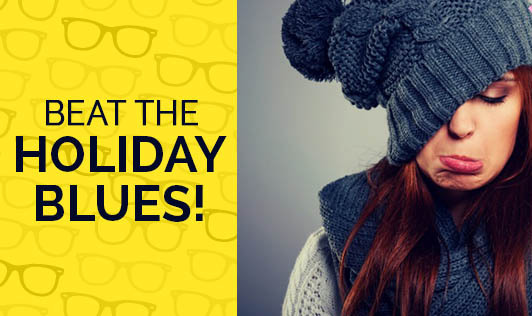 But for many people holidays could also mean stress, sadness, and depression. They may feel homesick, fear the expense of going on a vacation, or may not be able to manage the emotional demands that come along with the holiday season. They always feel trapped in a state of urgency and stress. Worrying about getting everything done on time can cause you to lose sleep. Set a realistic goal for yourself every day. Even though the holidays can feel like one big to-do list, try to maintain your regular routine as much as you can and take care of yourself. Drink in moderation, since excessive drinking can aggravate feelings of depression. Stick to healthy eating and treat yourself on and off. Overindulgence only adds to your stress and guilt. Don't stop your physical activities for your holidays. Fresh air and a brisk walk can help you clear your mind. Confide in your loved ones. It ensures a sense of relief. Talking things through always helps. Plan your expenses but give yourself some leeway in case you spend a little more than expected. Don't let the holidays become something you dread. Instead, take steps to prevent the stress. With a little planning and some constructive thinking, you can enjoy your holiday.